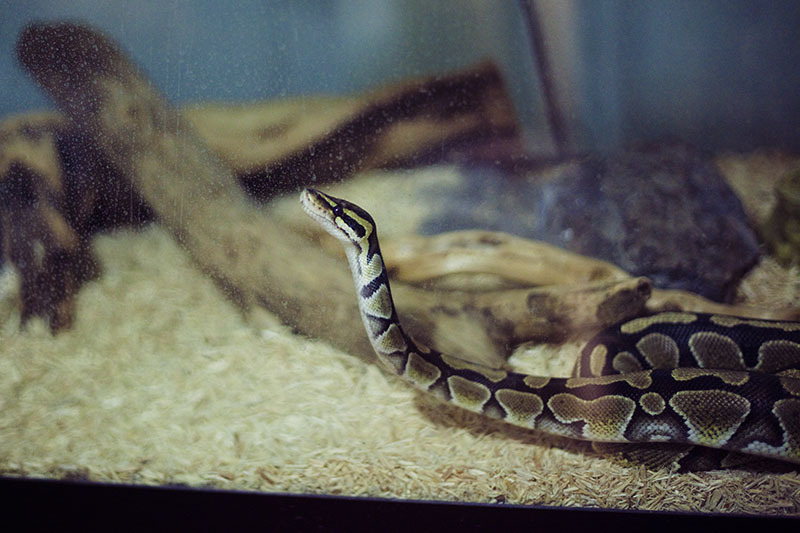 Ball pythons are normally docile creatures that very rarely attack. 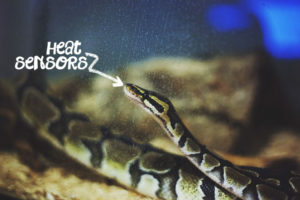 Each ball python has a different temperament, however, and therefore, one particular ball python may be extremely aggressive in comparison to the norm. 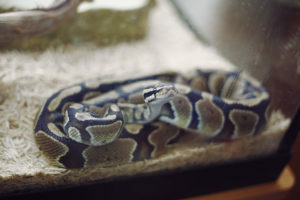 Whether or not a ball python is aggressive has nothing to do with the morph type (its breed) or its gender. 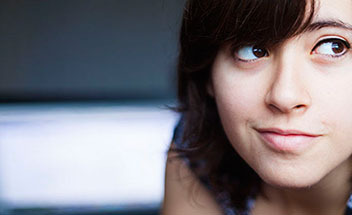 Males are typically non-aggressive, and females are the same, except in the case where they are protecting their eggs. 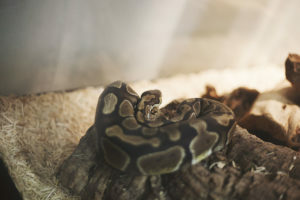 If you are considering buying a pet ball python but are worried about it potentially being aggressive, be sure to visit the pet store or breeder that you want to buy the snake from and physically hold each of the ball pythons you are considering getting. 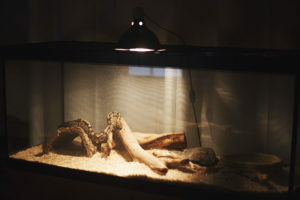 Although the vast majority will be extremely non-aggressive, some are more aggressive than others, and handling a specific pet will allow you to get an idea of its unique temperament. 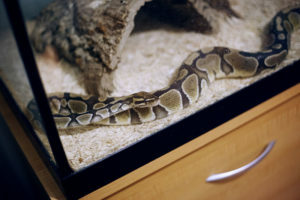 Snakes are slightly more aggressive during certain stages in their life. 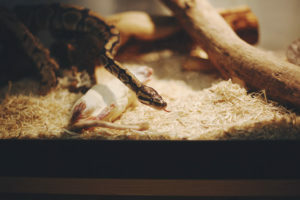 As mentioned before, a female ball python will be particularly aggressive when she has laid and is protecting her eggs. 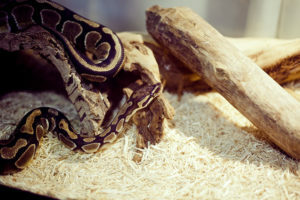 Both male and female ball pythons will likely be slightly more agitated and aggressive during the shedding process. 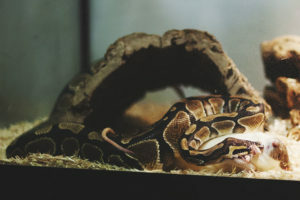 Some ball pythons will be aggressive when they are preparing to eat, as they may perceive anything that comes near them as competition trying to steal away their food. 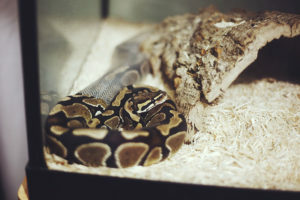 Ball pythons are likely to bite if they smell anything that is edible to them on you – if you’ve played with a hamster, gerbil, or any other type of rodent, or if you’ve cooked with chicken or chicken stock, make sure you get rid of the smell completely before trying to pick up a ball python. 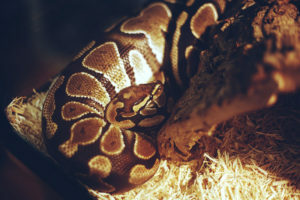 Otherwise, ball pythons are typically quite docile creatures, the exception of course being the very rare and few ill tempered ball pythons.